If the subject was perplexing to a genius like Einstein — and it's only gotten more complicated since then — is it any wonder that most Americans are dazed and confused when it comes to filing their returns? We've compiled a simple guide that will let you know the main updates for Tax Year 2016. The deadline to file taxes for 2016 is April 18, 2017. It's April 18 because the 15th falls on a Saturday and that Monday, the 17th, is a holiday, Washington D.C.'s Emancipation Day (observed). The highest tax bracket, 39.6 percent, affects single taxpayers whose income exceeds $415,050 ($466,950 for married taxpayers filing jointly), up from $413,200 and $464,850, respectively. Other earners are taxed at the following tax rates: 10, 15, 25, 28, 33 and 35 percent. To find out which one you are in, check the related income tax thresholds for tax year 2016. If you decide to take the standard deduction amount, remember that you are not also allowed to itemize your deductions on Schedule A (Form 1040). In general, itemized deductions are there to help taxpayers who currently hold a mortgage or have investment interest they would like to deduct. To learn more about itemized deductions, check out the IRS Guidelines. Alternative minimum tax exemption. Originally, the alternative minimum tax was set to limit tax breaks for rich Americans but increasingly affects the middle class. Here is the IRS guidance on the AMT tax break. For those individuals who have a Health Savings Account (HSA) in 2016, the contribution limit has been raised to $3,350 for the single plan and $6,750 for the family plan. The Health Savings Account (HSA) can only be used in conjunction with a high-deductible health plan. In 2017, employees can now contribute up to $18,000 to 401(k) plans, the same limit as 2016. The limit is also $18,000 for 403(b), most 457 plans and the Thrift Savings Plan. For individuals who are age 50 or over at the end of the calendar year, there is an opportunity for catch-up contributions to 401(k)s. In 2017, the total catch-up contributions equate to $6,000 per person and are allowed under a 401(k), 403(b), SARSEP and governmental 457(b) plans. Retirement savers who choose to use an IRA can contribute up to $5,500 in 2017. Catch-up contributions for individuals age 50 and older are limited to $1,000 for the same year. As of 2015, you are limited to one indirect rollover from your IRA account to another IRA account per year. With an indirect rollover, a plan participant is allowed to withdraw (through a distribution) all of their retirement balance without taking on a penalty if they decide to enroll the balance into a new IRA account. Due to the change back in 2015, indirect rollovers are now only allowed to be performed once a year. However, if you want to transfer your IRA balances through a direct rollover, i.e., trustee to trustee, then there are no limitations on how many times this can occur. As long as your retirement balance stays out of your hands during the transfer (i.e., direct rollover), you can perform this process as many times as you like. Low- and moderate-income workers are provided an additional tax credit to help them save for retirement. 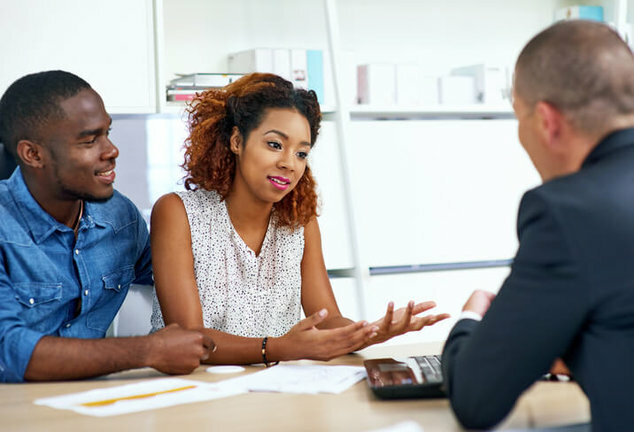 The credit rate – 10 percent, 20 percent or 50 percent of your contribution – depends on individual or married status and adjusted gross income. According to the IRS, the saver's credit helps offset part of the first $2,000 individual workers voluntarily contribute to IRAs and 401(k) plans and similar workplace retirement programs. In 2017, the saver's credit is for up to $4,000 for married-filing-jointly couples. The personal exemption for Tax Year 2017 is $4,050, the same as 2016. The 2017 maximum Earned Income Credit amount is $6,318 for taxpayers filing jointly who have three or more qualifying children, up $49 from tax year 2016. Estates of decedents who die during 2017 have a basic exclusion amount of $5,490,000, higher than the $5,450,000 for estates of decedents who died in 2016. This is a lot of tax information to digest in a quick post. To help minimize your overall tax liability, it is highly recommended that you consult a qualified tax professional on your personal and business taxes. For more information, check out the full listing of the summarized IRS 2017 tax changes. There are 15 reader responses to "IRS Tax Changes for 2016". Correction: student loan interest has nothing to do with itemized deductions. Jason, you’re correct, as long as you do not exceed certain income requirements, you can take the standard deduction AND deduct student loan interest (though I think there’s also a maximum amount that can be deducted). $2500 is the maximum amount that can be deducted for student loan interest. This is a common misconception of tax rates, and it is not correct. Anyone making over $413K will NOT pay 39.6 percent on all their gross taxable income. They will only pay 39.6 on their gross taxable wages OVER the $413K. The US Tax system is a progressive system. For any given tax bracket, everyone pays the rate for their income in that bracket. For example, for all single filers, even if they made $1 million in taxable wages, they will pay 10% on their first $9225. You can google the difference between marginal tax rate (the tax bracket you fall under depending on your amount of taxable income) vs effective tax rate (what you actually pay) to get a better understanding of how this works. Your effective tax rate would only get close to your marginal tax rate if you made an obscene amount of taxable income for the year. Marginal tax rates seem to be an Achilles heel for this site. They are almost never explained correctly. This is incorrect. The student loan interest deduction is actually an adjustment to income. It is taken up front and can be taken with a standard deduction. It is actually based on inflation and moved in $500 increments. While there was a $500 movement from 2014 to 2015 (17500 to 18000). The amount for 2016, which has recently been announced, is staying at $18,000. Since there was no inflation (ha, ha) same as to why social security recipients aren’t getting a COL raise this next year. Shame on you. That 39.6% rate is only on the wages ABOVE the $413k mark. The rate for tiers of income below $413k are lower than that. That’s what a progressive tax rate means. What you said in that sentence is what anti-taxers say to try to scare people into thinking that the top tax rate applies to ALL income for high-earners. It’s important to note that not everyone can elect a HSA instead of a FSA. Your health insurance plan has to be HSA eligible. ACA – What is the IRS going to require for proof of insurance this year? Last year they let people off with a verbal statement or checking a box, “Yes, I and all people on this tax return have health insurance” and that was it (I’m a volunteer preparer so this was common). Are they going to require a 1095-A, B, or C from every taxpayer? No more verbal representation? If anyone knows please reply. Thanks for the post! Always helpful to get up to date tax info. What is your view on Roth IRA conversions? I am considering this now. Where does it make sense? Hey Wes – tax issues are always very dependent on the specifics of the individual’s situation, but as a general principle, converting to a Roth is a question of whether you want to pay taxes now (which the conversion would trigger) or later on (by taking retirement distributions from a traditional IRA. So, two things could make it especially beneficial to do this conversion now – if you feel you are in a lower tax bracket this year than you are likely to be in later on, and/or if your investments are currently down so you would be taxed on a depressed valuation if you did the conversion now. Hope that helps!